We had talked about the possibility of Clay learning to type, but hadn’t taken concrete action to get it started. 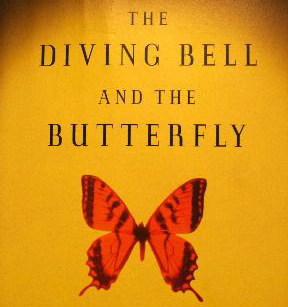 Then we rented the movie The Diving Bell and the Butterfly. The movie tells the story of a man who—after a massive stroke that left him almost completely paralyzed—managed to write his memoir by blinking his left eye. My wife was moved to action. “If that man could communicate, we could help Clay do the same thing,” she told herself. That was when she put aside her fears of how hard it might be and that it might not work. That was when she made the commitment to meet with a communications consultant and get to work. Little did we know that Clay would start typing with support on the first visit. Or that a year later, he would be typing with more than 10 different people. Or that he would be asking to include the keyboard in his classroom and outlining a curriculum that included math, world history and music. I’m sure glad we chose that movie that Saturday night instead of Step Brothers. And so happy my tenacious wife never stopped believing. This entry was posted on September 13, 2010, 12:25 pm and is filed under Communicating. You can follow any responses to this entry through RSS 2.0. You can leave a response, or trackback from your own site. Let’s face it – you are one lucky man, Mr. Blumenthal! Roe’s strength, determination, and kindness are completely unrivaled if you ask me. You two make a truly awesome, truly inspiring team!